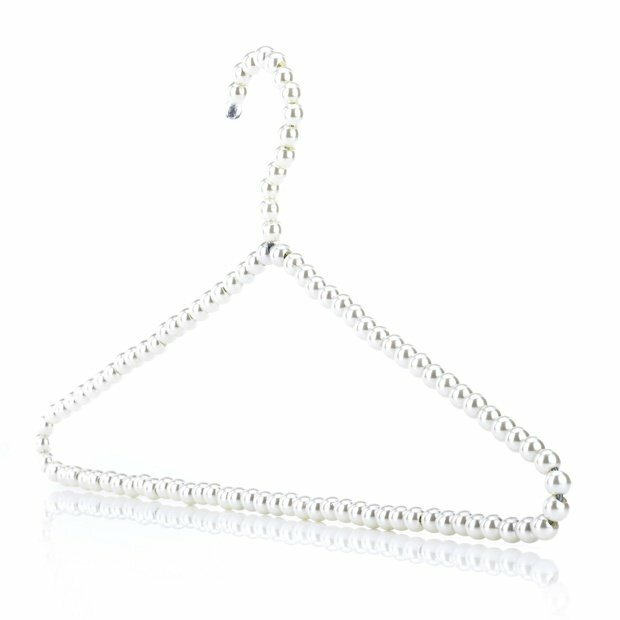 · Premium quality strong metal hangers covered in luxurious faux pearl beads. · Suitable for use with dresses, skirts, jackets, trousers, delicate clothes & woollens. · Great decorative hangers, but also practical. · Straps and skirt loops slot between the beads for a firm hold. · Ideal as a gift, to give your wardrobe a fresh, luxurious look, or for a stylish boutique retail display. Size: 40 cm Wide (15.75 in approx). These are superb for showing off your stock. I had just as many comments about the hangers as I did the clothes I was selling!